This blog post covers how to use the new PostgreSQL-specific ModelFields introduced in Django 1.8 - the ArrayField, HStoreField, and Range Fields. This post is dedicated to the awesome backers of this Kickstarter campaign put together by Marc Tamlyn, the true playa that made it happen. Since I’m a huge geek and have no chance of ever getting into a real Playaz Club (and because back in the day 4 Tay was the bomb), I decided to build my own virtual online Playaz Club. What is that exactly? A private, invite-only social network targeted at a small group of like-minded individuals. 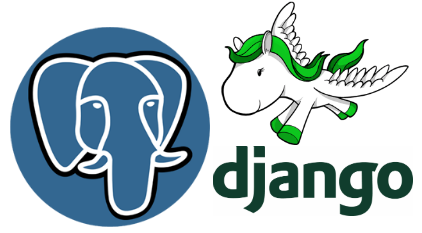 For this post, we are going to focus on the user model and explore how Django’s new PostgreSQL features support the modeling. The new features we are referring to are PostgreSQL-only, so don’t bother trying this unless you have your database ENGINE equal to django.db.backends.postgresql_psycopg2. You will need version >= 2.5 of psycopg2. Aight playa, let’s do this. Every playa got a rep, and they want the whole world to know about their rep. So let’s create a user profile (aka a “rep”) that allows for each of our playaz to express their individuality. Nothing specific to 1.8 above. Just a standard model to extend the base Django User, cause a playa still needs a username and email address, right? Plus we added two new fields to store the playaz hood and area code. For a playa, repping your hood ain’t always enough. Playaz often like to flaunt their bankroll, but at the same time don’t want to be letting people know exactly how large that bankroll is. We can model that with one of the new Postgres Range Fields. Of course we will use the BigIntegerRangeField to better model massive digits, amiright? More information about Range-based queries can be found here. It ain’t all about the bankroll, playaz got skillz, all kinds of skillz. Let’s model those with an ArrayField. To declare the ArrayField we have to give it a first argument, which is the basefield. Unlike Python lists, ArrayFields must declare each element of the list as the same type. Basefield declares which type this is, and it can be any of the standard model field types. In the case above, we have just used a CharField as our basetype, which means skillz will be an array of strings. Finally, you will also need to make sure that you have added 'django.contrib.postgres' to 'settings.INSTALLED_APPS' to make use of HStore fields. Do keep in mind that the dict must only use strings for all keys and values. Above we have used the has_key filter for the HStore field to return a queryset, then further filtered it with the values function (mainly to show that you can chain django.contrib.postgres stuff with regular query set stuff). As they say, Game recognizes Game, and now we can search for game, too. Try out the rest yourself for some practice. If you need some help, Read the Docs.